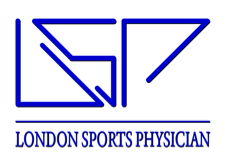 Extracorporeal Shockwave Therapy (ESWT)- also known simply as ‘Shockwave Therapy’- is a non-invasive treatment that can provide pain relief for patients suffering from certain painful sports injuries or orthopaedic conditions. These painful conditions can occur in the upper limb (e.g. shoulders and elbows) and also in the lower limb (e.g. hip, knee, ankle and foot). ESWT works by applying radial (not electrical) or focussed shockwaves to the painful area. The shockwaves are delivered to the tissue via compressed air impulses and radiate out towards the site of pain. These shockwaves break down injured tissue and calcification. They also initiate increased local blood circulation which stimulates and accelerates the body's own healing processes. What occurs at a treatment session? The painful area will be located by palpation, or in some cases using diagnostic ultrasound. Ultrasound gel will be applied to the skin before administering the shockwaves to ensure good contact. 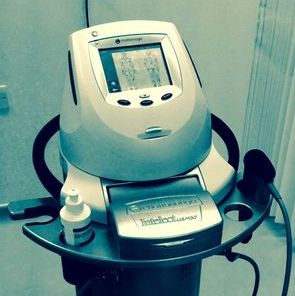 Shockwave therapy will then be administered using a hand-held probe and calibration machine. This is a non-invasive procedure and no anaesthetic is required. If pain is experienced during the treatment, adjustments can be made to the treatment settings to reduce the level of discomfort. A series of treatments (on average 3-6 treatments) are required. The typical interval between treatments is 1-2 weeks. Each treatment session lasts approximately 30 minutes. 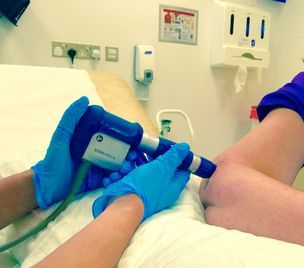 What should you do if you experience pain after shockwave therapy? Patients often experience a reduced level of pain or no pain at all immediately after treatment. However, a mild and diffused pain may occur a few hours later. This dull pain can last for a day or more. If necessary, you may use over-the-counter painkillers such as Paracetamol to relieve this pain. Shockwave therapy initiates a pro-inflammatory condition in the injured tissue as part of the healing process, therefore you should try to avoid anti-inflammatory medication (NSAIDs such as Ibuprofen) as this will interfere with the body’s healing abilities and reduce the effectiveness of the shockwave therapy. Strenuous exercise should be avoided for 2-3 days after treatment as a precautionary measure. You should abide by this advice even if you are painfree, otherwise you may risk the pain returning or the injured tissue tearing (rupture). Are there any contraindications that you should be aware of? There are some contraindications and precautions to consider. Corticosteroid injections to the same area should be avoided in the 3 months prior to shockwave therapy due to the increased risk of tissue tearing (rupture). Occasionally there may be some bruising and bleeding tendencies. If you are on Warfarin or other anticoagulant medication, please notify your consultant. If you have a cardiac pacemaker, please notify your consultant before treatment as shockwave therapy may interfere with this. Acute inflammation or infection in the treatment area will preclude shockwave therapy until this has settled. If you have been diagnosed with cancer, please notify your consultant as shockwave treatment will not be appropriate in this case. If you are pregnant, please also notify your consultant as shockwave treatment should not be administered. If in doubt, please discuss any concerns with your consultant beforehand. High-level research studies suggest a success rate in the region of 70-80% for chronic (longstanding) conditions that have not been cured with other treatment methods. Pain relief usually occurs 1-2 weeks after the pain treatment. In some cases, maximal improvement in symptoms may only occur several months after the series of shockwave treatments is completed.